ZeroEnergy Design is proud to announce that Matthew Genaze is now a Registered Architect in the Commonwealth of Massachusetts. After years of schooling, rigorous professional exams, and extensive experience in the field, this formal registration and associated recognition is well deserved. 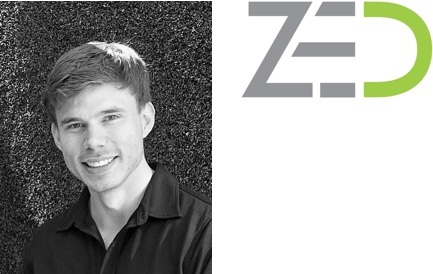 As a Project Manager at ZED, Matthew’s responsibilities include shepherding projects from schematic design through construction administration as well as guiding clients ambitions into reality. Matthew recently completed the design and construction oversight of a new zero energy home in Newton, MA. He is currently overseeing the construction of two projects, a new home in Hopkinton, MA and a renovation/addition in Belmont, MA. Prior to joining ZED, Matthew worked in Chicago, Houston, and Los Angeles on a diverse range of residential, multi-family housing, academic, institutional, and civic buildings. Matthew is a Certified Passive House Consultant, a LEED Accredited Professional, and now a Registered Architect. He received a Master of Architecture from Rice University and a Bachelor of Science in Architecture from the University of Illinois at Urbana-Champaign.